Learn Japanese with JapanesePod101! Don't forget to stop by JapanesePod101.com for more great Japanese Language Learning Resources! -------Lesson Dialog------- ----Formal Japanese---- 池 池には魚がいます。 池にはカエルがいます。 池にはカメがいます。 池には虫がいます。 池にはカモがいます。 池にはガチョウがいます。 ----Formal Vowelled---- いけ いけにはさかながいます。 いけにはカエルがいます。 いけにはカメがいます。 いけにはむしがいます。 いけにはカモがいます。 いけにはガチョウがいます。 ----Formal Romanization---- ike Ike ni wa sakana ga imasu. Ike ni wa kaeru ga imasu. Ike ni wa kame ga imasu. Ike ni wa mushi ga imasu. Ike ni wa kamo ga imasu. Ike ni wa gachō ga imasu. ----Formal English---- THE POND The pond has fish. The pond has frogs. The pond has turtles. The pond has bugs. The pond has ducks. The pond has geese. --------------------------- Learn Japanese with JapanesePod101! Don't forget to stop by JapanesePod101.com for more great Japanese Language Learning Resources! Learn Japanese with JapanesePod101! Don't forget to stop by JapanesePod101.com for more great Japanese Language Learning Resources! 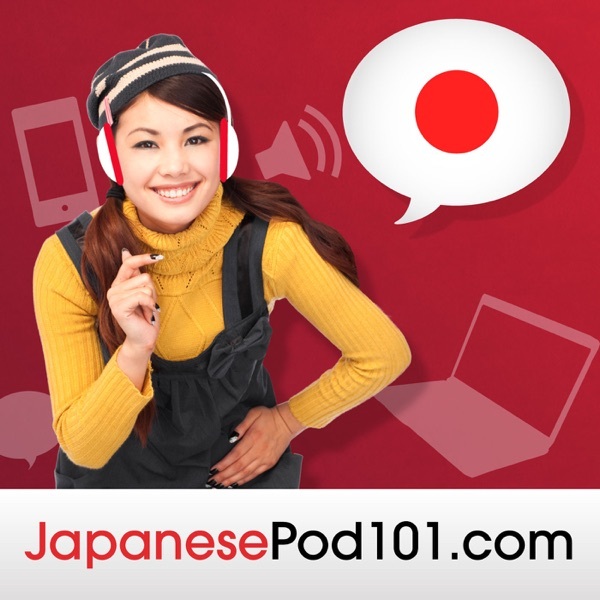 -------Lesson Dialog------- --------------------------- Learn Japanese with JapanesePod101! Don't forget to stop by JapanesePod101.com for more great Japanese Language Learning Resources!